Waldo Rochow, MBA: Who's Your Best Teacher? Unknown image source. Please advise if you know who to credit. I saw this today, and initially thought "yeah, that seems true," but then I quickly changed my mind. 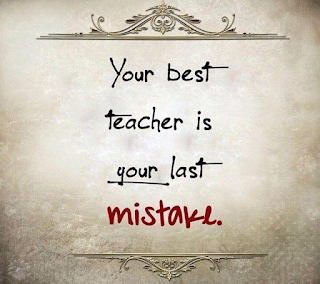 While recognizing the lessons that a mistake teaches is important, there exist many better teachers. The problem with this statement is that some mistakes are so expensive that they may render the lesson useless. I occasionally say "Nobody is completely useless, they can always serve as a bad example." 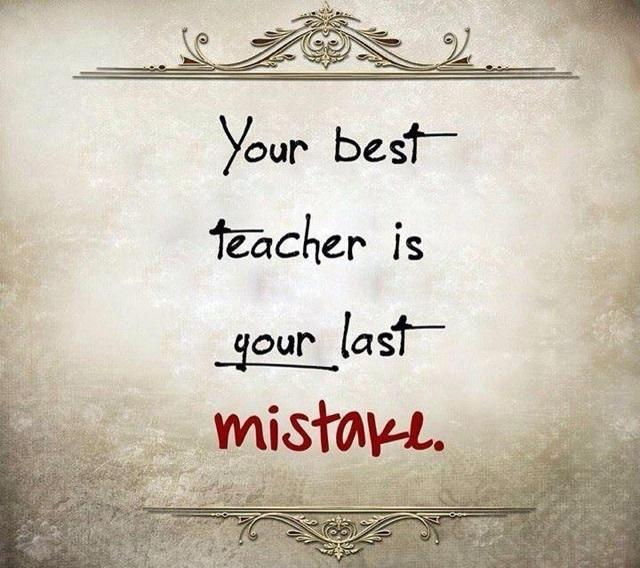 A better teacher is someone else's mistake. The beauty of this teacher is that it doesn't cost you anything. Now if you just spend your time looking at other people's mistakes, you may be making the mistake of not focussing on your own business. That's where Management Consultants come in. Yes I know, we're not free (in fact most are not cheap either), but the money invested in hiring a management consultant can at least be budgeted. So, your "best" teacher may actually be a management consultant. You focus on running your business, and hire me to address the concerns that are keeping you up at night. Let's talk. Give me a call for a free consultation.